Address: 6512 Midnight Pass Rd. 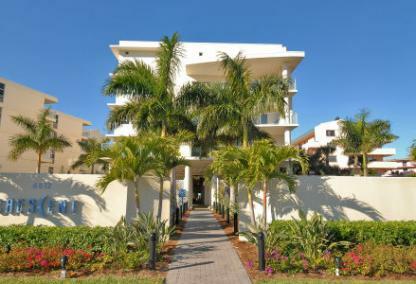 The Crescent is one of Siesta key’s newest condominiums, and a favorite among investors for its massive rental income potential. Built in 2006, this community is distinctive with its sleek modern architectural style. The property itself is stunning. Residents enjoy the incredible location, which is just south of the Stickney Road Bridge on one of the most beautiful beaches in the world. Gated entrance with twenty-four hour video surveillance. 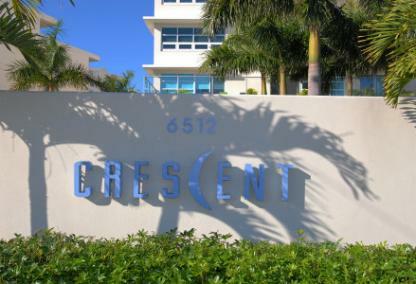 The Crescent includes 26 condos with 1,600 to 2,143 square feet of living space, providing a variety of resort-style living options. The community has two buildings with spacious two to three bedroom floor plans, two deluxe penthouses, and nine to eleven foot ceilings. Every unit includes a large terrace whereupon residents enjoy the striking Gulf views below. Each residence offers a unique design created independently of the other units to maximize its appeal and enhance its own distinctiveness. Investors consistently choose condos here for the array of spacious floor plans, short-term leasing options, and on-site rental office. Residents and guests have everything at their disposal, including the state of the art amenities, luxury beachside pool and spa, incredible beach, and spectacular setting. Enjoy the convenience of being only a few steps away from the beautiful Siesta Key Beach as well as minutes away from some of the best music, shopping, and dining imaginable. Siesta Key is an eight-mile barrier island off Sarasota, known for its powdery white quarts sand, turquoise Gulf waters, and some of the most spectacular sunsets on Florida’s West Coast. The Crescent is near the South Siesta Key Bridge, which allows for easy access to the mainland’s restaurants, shopping, music, golf, and a multitude of fun activities and popular tourist attractions. 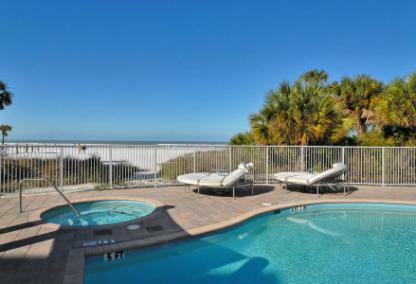 The resort’s highly desirable location on Siesta Key makes it easy for residents and guests to enjoy all of the wonderful features of the surrounding area. Siesta Key Village, Point of Rocks, Longboat Key, Mote Marine Laboratory, Marie Selby Botanical Gardens, St. Armand’s Circle, Longboat Key, the Hillview Area, and Downtown Sarasota are just a few of the attractions available nearby.